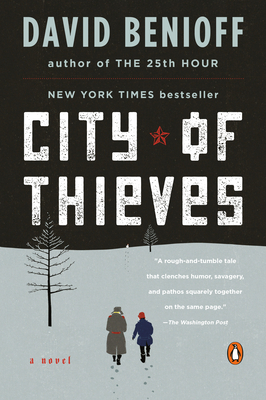 David Benioff’s novel City of Thieves has it all: The frozen winter landscape of Russia, death, betrayal, friendship, thievery, destruction, evil, and lust. Lust for women, lust for men, lust for survival, and lust for food. Set during the siege of Leningrad in World Word II, it is the story of two incongruous companions: Young Russians thrown together by the sheer chance after each finds himself in the wrong place at the wrong time. They are given a seemingly impossible assignment that will take them on a journey out of Leningrad and toward danger. Along the way they encounter both German soldiers and armed Russian partisans and it’s not always clear who is friend and who is foe. You’ll be on the edge of your seat, flipping page after page, until you reach the climax of this clever history-based thriller. Carry it with you if your travels take you to St. Petersburg, the once and present name for the city that Hitler’s invading German army failed to take.